Best Western’s Leisure Travel Summit (LTS) has built a reputation as a must-attend annual event for media. In 2018, the company took the event series to the next level, theming it around the 30th anniversary of Best Western Rewards® (BWR®). This was the perfect timely hook to capture the attention of media and share BWR news, including an unprecedented gift for founding members. As a major travel hub and the heart of a key market for Best Western, Toronto was identified as a focus for the 2018 LTS event series, complementing its NYC edition. During the event, Best Western presented the results of a study it commissioned from U.S. News & World Report, evaluating how today’s travelers make their loyalty program decisions. An interactive panel was led by Best Western’s CMO, and a large group of top-tier media attendees joined for lively discussions. The primary objectives of the 2018 LTS, Toronto were to: •	Target a select group of media based in Toronto to attend and learn firsthand about industry trends and Best Western news •	Showcase the 30th anniversary of Best Western Rewards to bring a new hook to an already popular event; •	Reinforce Best Western SVP & CMO Dorothy Dowling as a thought leader in the leisure travel and loyalty space; •	Highlight the special gift being given to Best Western Reward members in 2018, who have been part of the program since the beginning – lifetime Diamond Elite status; and •	Position BWR as an innovative forerunner in the industry, highlighting the award-winning program is on the forefront of timely trends – with strategic research and partners – understanding the evolving needs of Today’s Travelers. Best Western Hotels & Resorts targeted media covering the travel and hospitality industry in Canada. It was important to capture the attention of media with whom we’d already worked, but also attract new A-list Canadian press contacts to cover Best Western’s news. 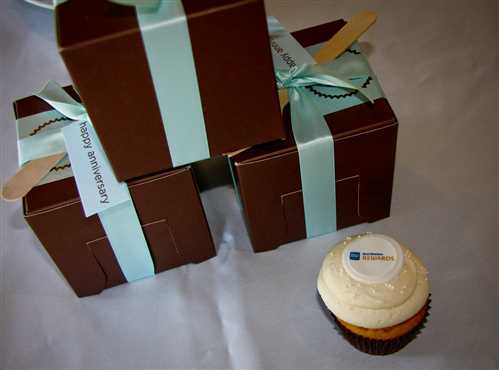 The Best Western communications team and its public relations agency executed all aspects of the Toronto LTS, including procuring the venue, managing logistics, securing media attendees, lining up one-on-one interviews, and ordering unique anniversary gifts (a pearl Kindle was given as a surprise to panelists, honoring the traditional 30th wedding gift; a pearl-encrusted, BWR-branded custom cupcake was given to each attendee). Media efforts planned in advance included development of a press release showcasing the results of the U.S. News & World Report study, as well as a second release encapsulating all event news. •	Best Western is celebrating the 30th anniversary of its award-winning BWR loyalty program in 2018, and the program is rolling out new benefits as part of the celebration. •	Best Western has commissioned an insight report, executed by U.S. News & World Report’s Marketing and Business Intelligence Teams, which showed more than 70% of respondents prefer BWR as their hotel loyalty program of choice. 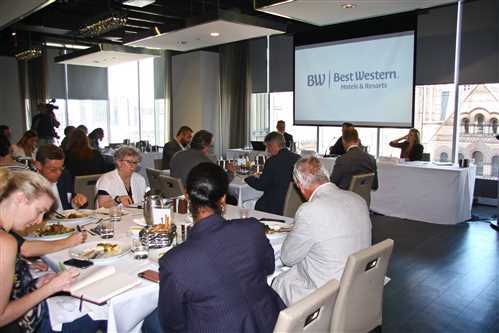 •	Best Western has partnerships in place to remain on top of the evolving needs of today’s travelers and is open to evolving its loyalty program as a result of key findings. The 2018 Toronto LTS was a success, driving buzz around the 30th anniversary of BWR, getting rave reviews from attendees, and creating awareness for Best Western as an innovative player in the market. SVP and CMO Dorothy Dowling was positioned as a true thought leader, as she guided a panel discussion and participated in one-on-one interviews on-site. The team secured an impressive list of 22 A-list media attendees for Best Western Hotels & Resorts’ LTS in Toronto, Canada, more than ever before. Attendees included The Globe & Mail, Travel Week, Canadian Travel Press, top-tier freelance writers and influencers. The Toronto LTS helped Best Western position itself as a trail-blazer well-versed on industry trends, committed to taking a fresh approach to loyalty programs.